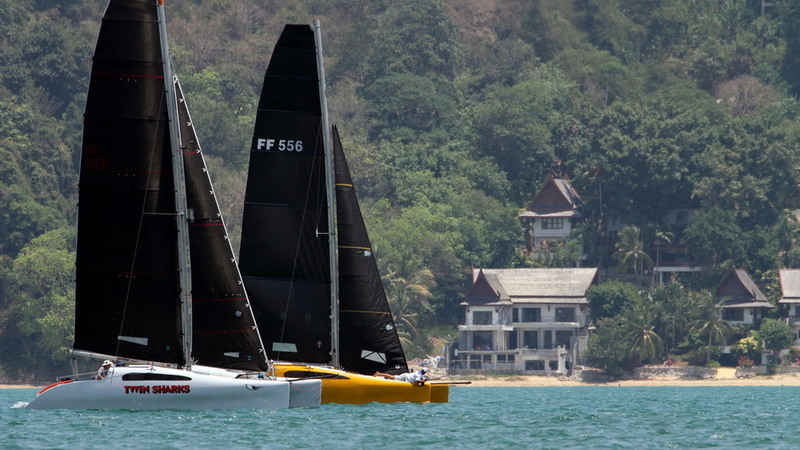 SAILING: Day one of the Phuket Yacht Club’s 2019 Sailing Regatta, being held in Ao Chalong, started off with sunny skies and 12 knots of wind yesterday (Mar 8). 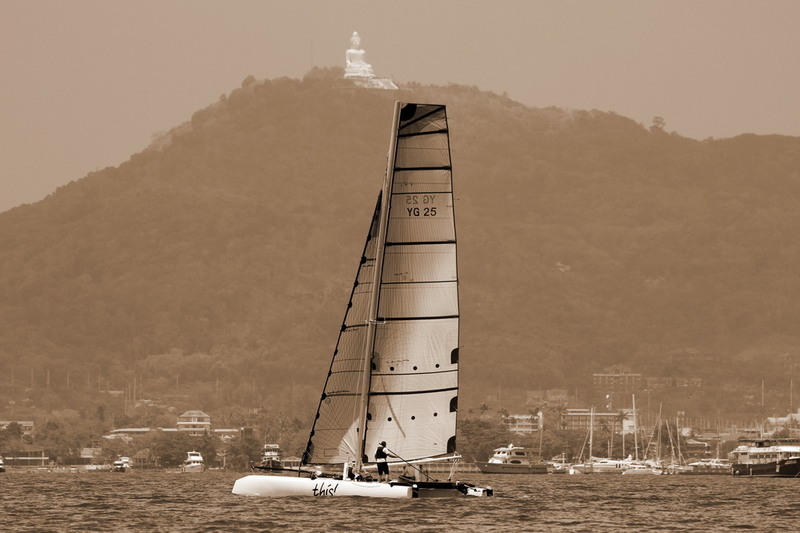 Principal Race Officer (PRO) Matt McGrath staged two starts, the first for the three monohulls in the competition and the second for the six multihulls that were racing. 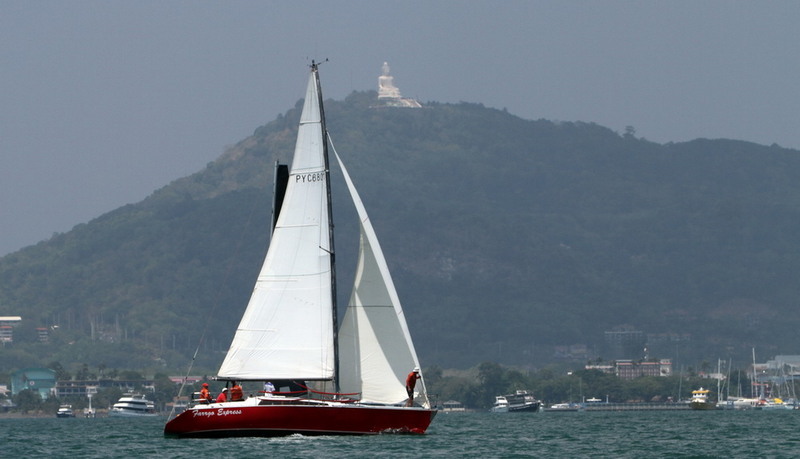 In the first race in the IRC division, Alexy Mashkin’s Megazip started from port on the pin deftly crossing the other two boats in her class – Vitaili Plaskin’s Uminoko and Paul Baker’s Farrgo Express – who started on starboard. Megazip jumped in front early and never relinquished their lead. In the Firefly/OMR division on the first beat in the first race, all boats jostled for position going towards the windward mark, the close racing continued on the downward leg then there was a port/starboard incident between & John Newnham’s Twin Sharks and Mick Coleman’s Mamba, but Mamba displayed excellent seamanship and immediately did a 360 for their infringement. Mamba recovered to finish second in the race followed by Marc Chapus’s recently purchased Moto Inzi, Ray Waldron’s Surf Patrol, Peter Taylor’s Ballerina and Dirk Weiblen’s This. Race two in the IRC division saw Uminuko hook into some good pressure on the second upwind leg, managing to secure a win over Megazip and giving them the lead going into today’s race based on their better finish in the last race of the day. In the Firefly OMR class, the action was similar to that seen in the first race, close racing between the majority of the fleet with Twin Sharks jumping in front again while the rest of the boats regularly changed positions behind them. After Day One racing in the Firefly/OMR class, Twin Sharks sits in first with two bullets; Surf Patrol (4,2) and Mamba (2,4) are next up tied with six points but second goes to Surf Patrol for finishing higher in the last race. Ballerina (5,3) Moto Inzi (3,5) with This bringing up the rear (6,6). The PYC in its release marking the Day One results thanked Mick Kealy for donating his rib as the photography boat, and Tim Willis for doing an excellent job driving it. 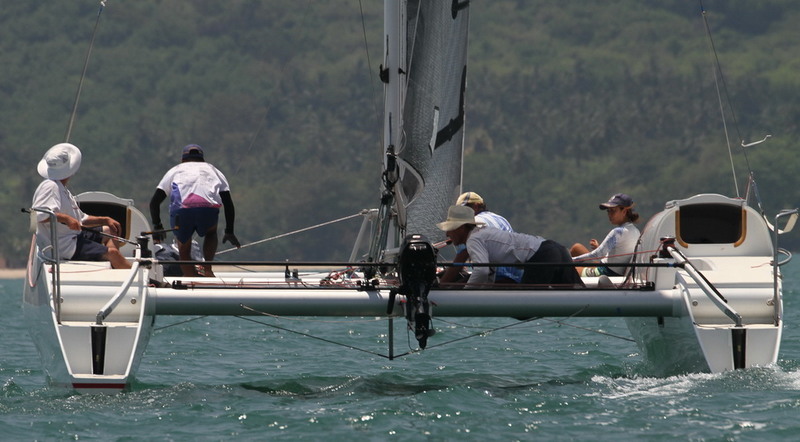 “Matt McGrath skillfully repeated his performance from last year as PRO, and Chandran as always turned in brilliant work as the assistant race officer,” the PYC noted. 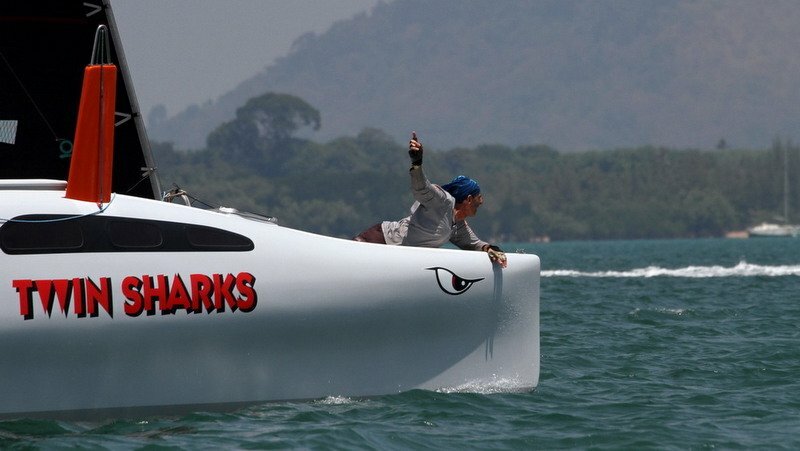 “Member Colin Wright kindly donated his catamaran SWIFT (sailburma.com) as the start boat and Mick Coleman also was active in ensuring all the boats were compliant with OMR/Firefly boat regulations,” it added. Day Two of the regatta continues today (Mar 9), with final day of racing to be held tomorrow (Mar 10).